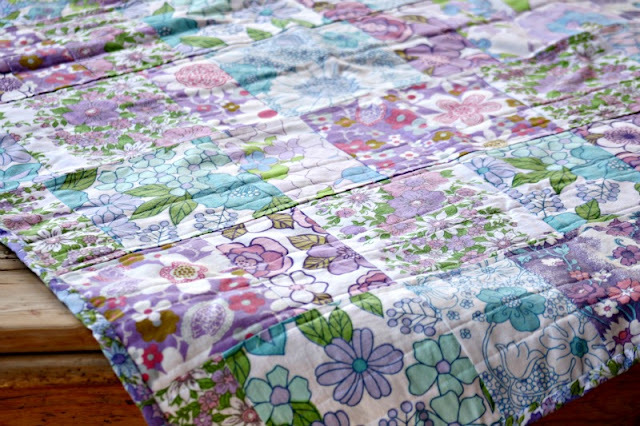 Last week I spent my down time stitching up a little quilt for my niece, Harmony. 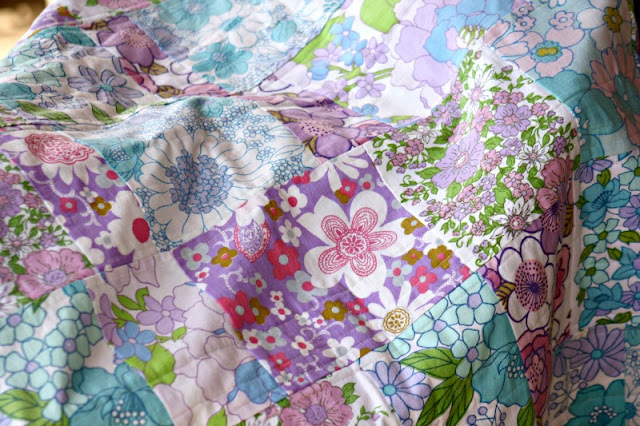 Her mama loves purple so purple vintage sheets it was. I've used some white chenille backing with a touch of floral. There's no batting sandwiched in between. I prefer a soft, light blanket style when using the chenille. The chenille has the perfect amount of snuggly and it's very warm. 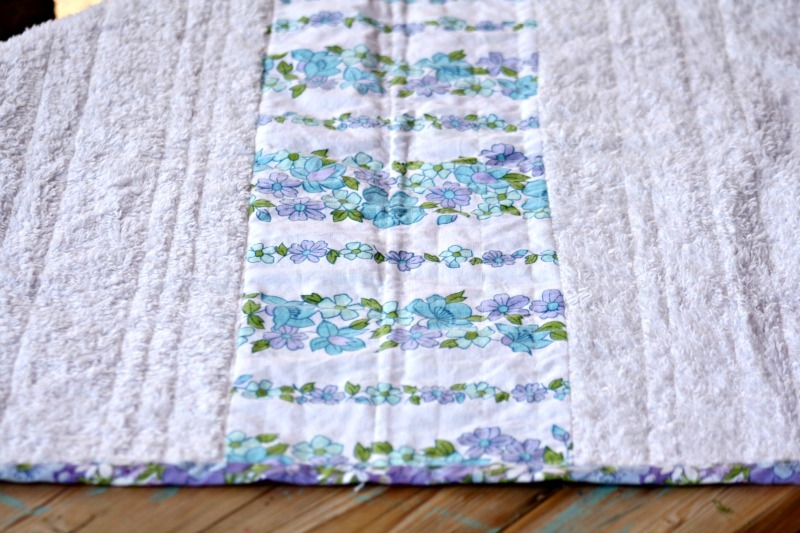 Simple quilting with random straight lines, I think it'll be a beautiful addition to her bassinett. More photos to come once it's been gifted. Have you been making lately? Funny, being a collector of vintage sheets, I think I have ALL of those sheets you have used! They must have been such popular designs. 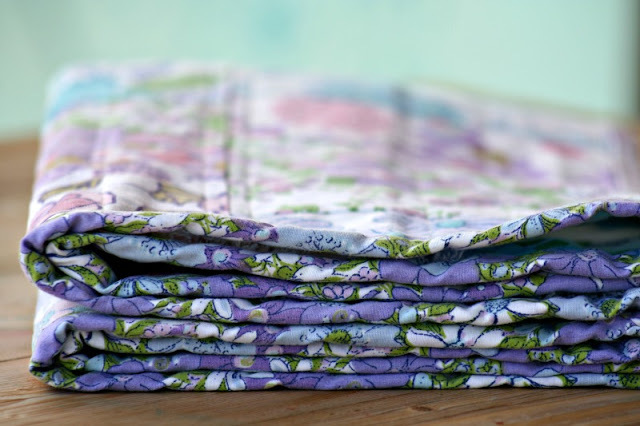 You've done something really wonderful with them though, the blankie is gorgeous. I havent come across chenille bedspreads while op-shopping. They sound like the perfect backing though. Oh it's beautiful Lea. She'll love it. Well in my downtime I've been making dresses and skirts. I'm done for a while tho!